Your health and comfort is our first priority. From the moment you step into the office, we treat you with the care you deserve. "Our whole family goes here! We won't go anywhere else!" "Dr. Yi and the folks at Fairfax Corner Dental are skilled and very professional." "Dr. Yi is very skilled and puts you at ease right away." "Thank you everybody! Nice work!" 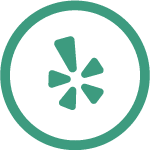 "Dr. Yi and Dr. Tehrani are very polite, professional, and timely." 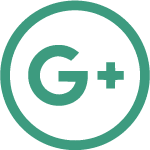 "Dr. Tehrani is not only an excellent dentist but very kind and considerate." "Dr. Yi and Dr. Tehrani have both been excellent dentists." 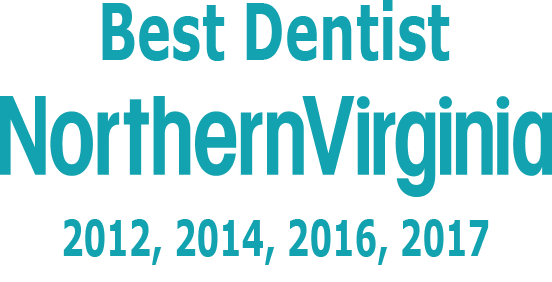 Fairfax Corner Dental brings together the expertise of four exceptional dentists under one roof at its convenient Fairfax, Virginia, location. The team’s comprehensive service offering includes general, cosmetic, restorative, and prosthodontic dentistry. The experts at Fairfax Corner Dental make your health and comfort the focus of everything they do. From the highly trained staff that greets you at the door to the state-of-the-art equipment used for your care, the practice gives you the peace of mind knowing you’re in capable hands. The team uses a preventive approach to promote your oral and overall health. They encourage regular exams and cleanings, proper dental hygiene, and healthy lifestyle choices as part of your prevention action plan. The experienced dentists also specialize in the diagnosis and treatment of dental conditions using the most up-to-date techniques. 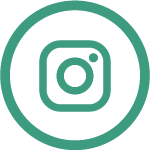 In addition to standard restorative dental practices, they also offer Invisalign® aligners, Zoom!® professional teeth whitening, implant-supported dentures, and custom-fitted mouthguards. Every treatment plan includes cosmetic considerations, so your teeth look just as good as they function. As a sedation dentistry practice, the team also offers various levels of sedation to help you relax during any visit. The dental professionals at Fairfax Corner Dental want to keep you smiling with a set of teeth worth flaunting. Call or click to set up an appointment with one of the experienced providers. Located at the Fairfax Corner shopping centre, Fairfax Corner Dental is easily accessible from I-66 and the Fairfax County Parkway. In addition to traditional dental maintenance, we offer a variety of cosmetic services to our patients, including Invisalign, Zoom teeth whitening, dental implants, and more. Our experienced doctors and staff are trained to provide you with the most recent and state-of-the-art treatments available. Fairfax Corner Dental accepts most insurance plans. If you do not see your insurance carrier please call our office to verify your benefits. We will process your insurance and take the assignment of benefit. Patients pay their estimated balance at the time of their visit. We also offer our own in-house dental plan. Please see our Smile Club page for more information. We accept VISA, MasterCard, Discover, American Express, Debit, and most FSA cards. Care Credit is also available for finance options. No dental Insurance? We believe high quality dental care should be available to everyone. Our Smile Club is specifically designed for patients who do not have dental insurance and is available for a low annual fee. 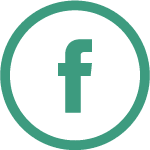 "I've had consistent, good experiences with Fairfax Corner Dental over the past two years." "My dentist is great. She walks me through any procedure I need done and is super helpful when I have any issues." "This is a great dental office .The front desk is so nice and very accommodating. My favorite hygienist is Mimi - she is so sweet and gentle. And Dr. Yi is very nice." "Dr. Yi and Dr. Tehrani have both been excellent dentists. I have nothing but good things to say about their facilities, hygienists, and front desk staff." "I have been really pleased with this dental group. I've only seen Dr. Tehrani and they both did a good job." "Dr. Yi made some time to give my tooth a quick look and diagnosis. He was very good about explaining what had happened and what needed to be done." "Dr. Yi has been my dentist for over five years, he's very good at what he's doing. I would highly recommend him and his staff." "This was first time I had dental work done without any discomfort. When I got there my appointment was on time and I was in and out." "Dr. Tehrani is not only an excellent dentist but very kind and considerate when attending to my dental problems. I recommend her highly."